Following the conclusion of the Little League® International Congress in January 2018, the dates and locations for the 2020 Little League Regional Roundtables and 28th Little League International Congress have officially been announced. More information regarding the U.S. Regional Roundtables and International Congress event, including travel logistics, registration information, and agenda items, will be distributed to District Administrators and Assistant District Administrators as they become available. Sites and dates for International Regional Roundtables will be determined in 2019 and will be communicated through the respective regional staff. Information regarding International Regional Roundtable events will also be communicated directly as it becomes available. 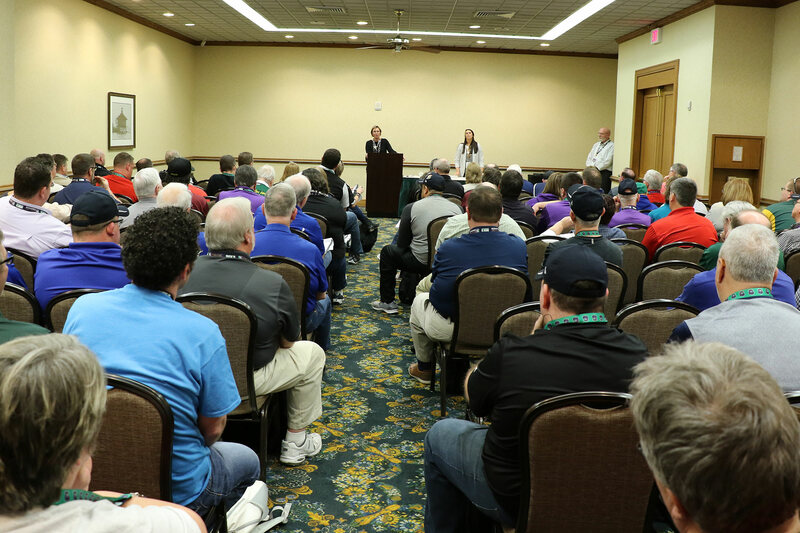 Every four years, Little League’s highest-level volunteers, District Administrators (D.A.s) and Assistant District Administrators (A.D.A.s), are invited to attend a two-day Regional Roundtable meeting at various locations throughout each of Little League’s five U.S. Regions. The agenda for each Regional Roundtable, which will include educational sessions as well as rules and regulations discussions, will be assembled from a survey to be completed by D.A.s and A.D.A.s in each region. The Regional Roundtable meetings are conducted by members of the Little League Regional and International Staff. As in previous years, D.A.s, or the approved alternate, will receive financial support to help offset other travel-related. All details regarding attending Regional Roundtables, including reimbursement and registration information, will be announced at a later date. If unable to attend the Regional Roundtable, the D.A. is asked to designate an alternate from your district staff as your District’s representative by forwarding a request to Patrick Wilson, Senior Vice President of Operations and Program Development, requesting the respective individual be recognized as the designated alternate. As a reminder, attendance at in person trainings, including Regional Roundtable, is a requirement of the D.A. Standards for Exceptional Leadership and Volunteer Service. A key component to the meeting is to have each of the D.A.s review and discuss suggested rule and regulation changes with their regional peers. This discussion is necessary to gain the knowledge of how the rule or regulation would impact constituent leagues. 1956: Morrison Hotel, Chicago, Ill.
1957: Morrison Hotel, Chicago, Ill.
1958: Morrison Hotel, Chicago, Ill.
1960: Morrison Hotel, Chicago, Ill.
1961: Statler Hilton, Los Angeles, Calif.
1963: Waldorf Astoria, New York, N.Y.
1971: Portland Hilton, Portland, Ore.
1973: Tampa Convention Center, Tampa, Fla.
1975: Hyatt Regency O’Hare, Chicago, Ill.
1978: Sheraton Harbor Island, San Diego, Calif.
1981: Charlotte Civic Center, Charlotte, N.C.
1984: Hyatt Regency, Tampa, Fla.
1987: Anaheim Hilton & Towers, Anaheim, Calif.
1989: Various Facilities, Williamsport, Pa.
1992: Boston Park Plaza Hotel, Boston, Mass. 1995: Reno Hilton, Reno, Nev.
2004: Pavilion Convention Center, Virginia Beach, Va.
2010: Lexington Convention Center, Lexington, Ky.
2014: Hilton Minneapolis, Minneapolis, Minn.
2018: Hilton New Orleans Riverside, New Orleans, La. 2022: Hilton Anaheim, Anaheim, Calif.